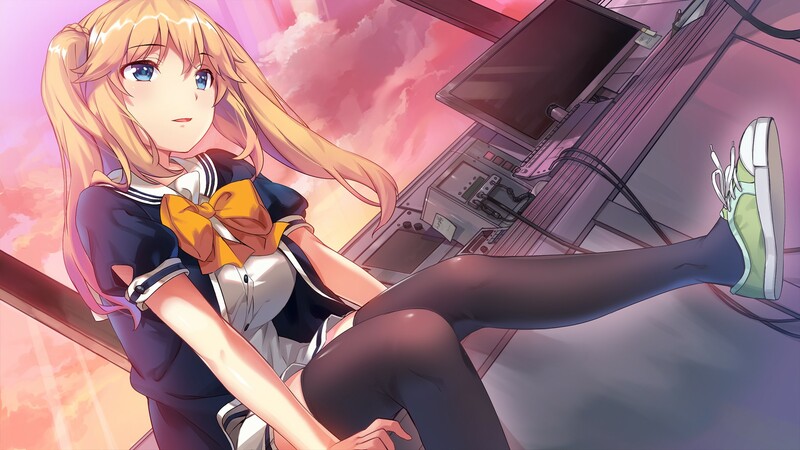 Under One Wing is Sol Press’ fifth localized project and first for 2019. 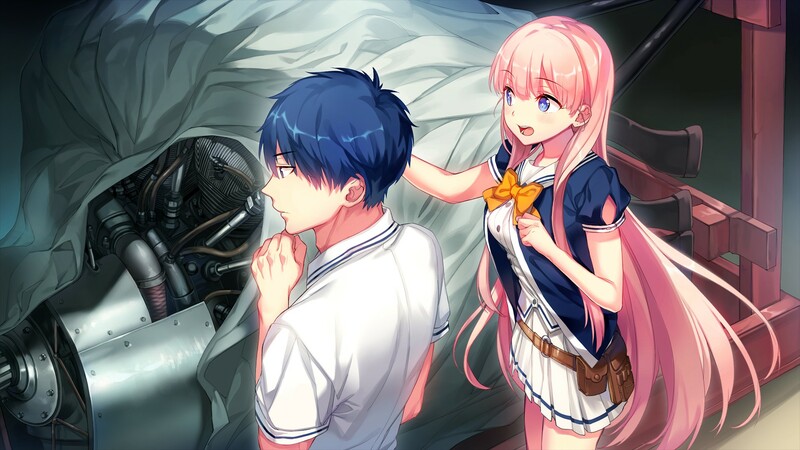 It was first announced during Kumoricon 2018 and it quietly sat between other projects, some of which include the recently funded Irotoridori no Sekai, and the rather unique Oni Kiss: Onii-chan, Where’s my Kiss?. Furthermore, as if it wasn’t being sneaky enough, this story had only been out in Japan for eight months prior to the announcement. In other words, Sol Press knew this was something special that everyone had to read as soon as possible. What better way to show that than to have it be your first title of the year? The question remains, how does it hold up? Welcome to the cockpit of your Kyushu J7W1 Shinden. Your new name is Junichi Sasaki. You’re about to go on a life changing journey and don’t even realize it yet. Your grandmother was one of the most famous pilots of her time and you decided to follow in her footsteps. So much so that you’re transferring to the same school and dorm she stayed in all while using her plane. However, only one problem: you’re not really sure if you can replicate it. For clarification, your grandmother was actually a legendary dogfighter in an event now known as the Fairy Fights and you’re just starting to get your feet wet in terms of flying. Safe to say, you’ve got some big shoes to fill. While your mental struggles tug at you occasionally, amidst a few cliches you’re introduced to your new roommates. First up, the lovely pink-haired plane enthusiast Hikari Hirosawa. Hikari’s an absolute airhead of a second year student, but has two over-the-top qualities: her knowledge of planes and overwhelming optimism. As a result, she’s an absolute joy to be around as she will always find the light at the end of the tunnel. 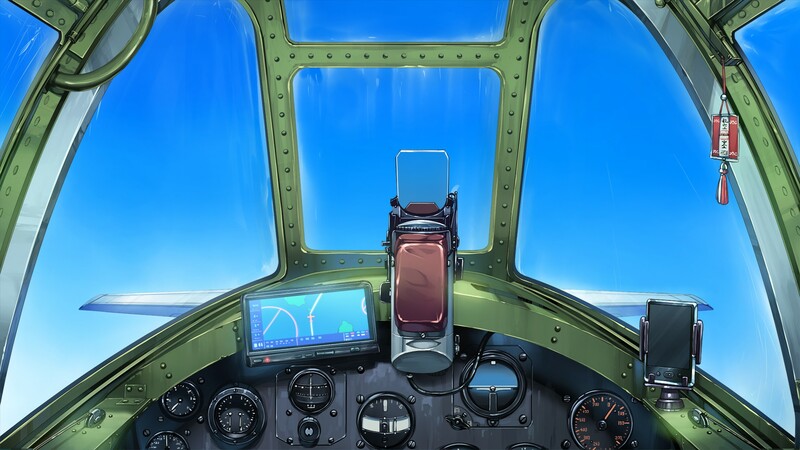 She pilots the A6M5 Type 0 Model 52, a fighter that she holds dear in her heart for a very important reason. However, she thinks it’s a bit embarrassing and prefers to keep it a secret. Next on the list is Kazusa Sasaki, the textbook definition of a tsundere. This second year student may be quick to yell at you for any small error, but she’s got a more rational head on her shoulders than any other of her kind. It’s worth talking about how she shares the same last name as you, but I can assure you that you’re not related. As a result of this however, it created a rather peculiar circumstance that led to you two meeting! 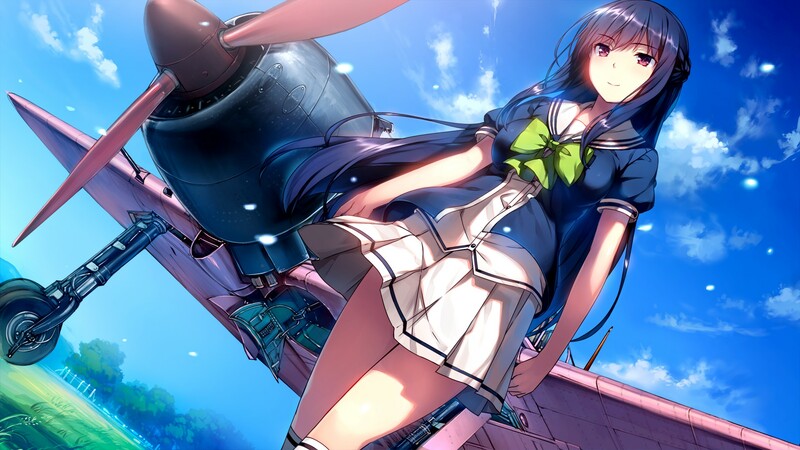 She pilots a KI-44 Shouki, and seems to know more about the craft of flying than she cares to admit. When you confront her on the issue, she tries to avoid the subject entirely. Someone has to keep you in good behavior, and that someone is none other than the student council president herself, Jinno Nahoko. She’s a third year student with an overwhelming presence in terms of pure beauty and intellect. However, she can be a huge tease whenever she feels like it. This is her last year attending the academy, she wants to do something very special and you’re at the forefront of it all. Unlike the others, she’s more upfront about what she wants to do which at first is very convenient for us, the reader. That is until we talk to her some more, and let’s just say looks can be deceiving. She pilots a KI-46 III Otsu + Hei, a simple scout plane for her student council duties. Last, but certainly not least, is the biggest mystery of them all: Mimari Matsumoto. Everything about her makes your head tilt, from your meeting to when she purchased all the parts needed for her new plane in one large transaction. She has her eyes set on the Tsubasa Dorms and yourself right from the get-go. Furthermore, the only person that seems to know anything about her is Jinno, and she has to keep things a secret from everyone else. The more you spend time with her, the more questions flow into your head. She now pilots a Spitfire LF mk.IXc, a plane, much like Hikari before, which carries a huge significance to her. After some time has passed and everyone has gotten to know each other a bit, Jinno reveals the master plan. She wants everyone in Tsubasa Dorm to team up for the upcoming Fairy Fight tournament, the same tournament that made Junichi’s grandmother a legend. While Hikari and Mimari agree wholeheartedly, it takes a bit of conviction on the side of the Sasakis to agree. Junichi doesn’t know his potential and Kazusa remains questionable based on her mysterious past. Ultimately, they put aside their doubts and join in on the fun. Welcome to Under One Wing. With the tournament in sight, a burning question needs to be answered: Which mystery will I solve first? 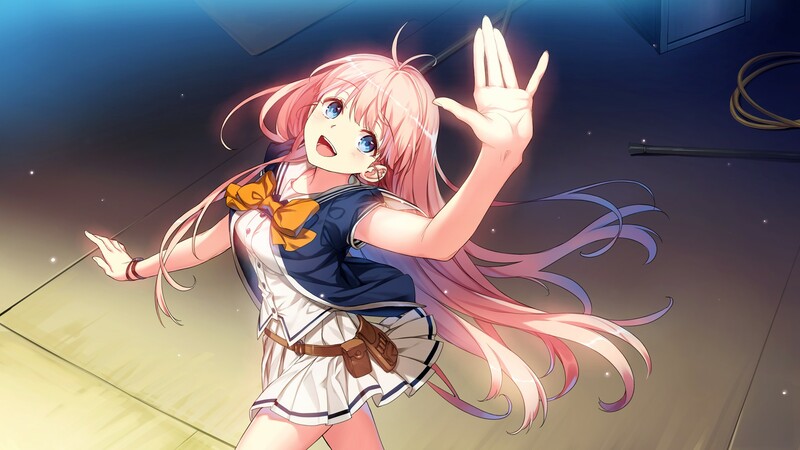 Over the course of the game’s prologue, we get bits and pieces to sort of lure us in like fish to each girl. In doing so, the game makes this choice a weighted one as all the girls have their own set of wonderful perks and quirks. The importance of fleshing out your characters without giving away too much of their personal story is substantial. Under One Wing handles this effortlessly as the scenes in question give a more in-depth and unpredictable look to these characters that really does leave you wanting to see more of them. Some of them you couldn’t predict even if you tried. When you do come up with the answer to your hard-thought question, the second half of the game plays out. This is where Under One Wing soars above the competition. All four of these girls’ stories start developing with their secrets slowly unraveling and painting a clearer picture. Connecting the dots is you, your route choice and how the tournament brings it all together. Each of these stories are so uncommon that if feels like taking a breath of the freshest air as I read. Not only that, the chemistry displayed with the game’s art, sound and writing is absolutely magical. There will be times you want to cry, rage and even celebrate. Over the course of the review, you’ll see a fair amount of this game’s art. Art is Under One Wing‘s strongest asset and it’s shown not just in the characters, but also the background. I’ve seen so many games prioritize character design to the point where their backgrounds look simplistic. I’m guilty of letting this sort of thing go when looking back on a project. However, the art team at Harmorise really changed this for me. This feels like the first visual novel I’ve played in recent memory where I see it’s a complete package in art alone. The importance of fleshing out a background in a very intimate one-on-one scenario or heated struggle never crossed my mind. I thought the characters would suffice and now my eyes are open. However, it didn’t stop there. This game wanted you learn about these planes, but didn’t want to force it down your throat. That’s why they let the art do the talking for that presentation, whether you were up against speed demons, absolute tanks, or just a gang of weirdos. You didn’t need a 20 minute monologue on that plane; you saw it and knew. Then maybe the characters interjected a line or two. It was very unexpectedly educational, and that’s an aspect I came to appreciate as I beat the last route. This review can’t go on without talking about the very intimate scenes. The scenes are tailor-made for each girl, and there are aspects to appreciate in every single one. If a character would lack in one area, such as height or chest size, a lewd scene made sure that she could do something that the others couldn’t. 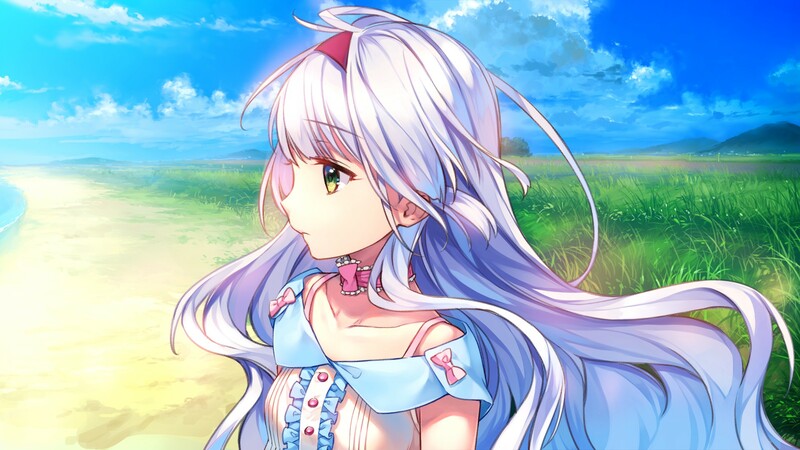 Different positions and angles combined with passionate voice acting and a simple music track really showed off what could be a promising year for lewd games. It almost made me want to forgive the developers for making the scenes a bit too long. The sound design in this game was truly a treat for the ears. When the game got serious, so did the music and the voice acting. In particular, the tournament dogfights were amazing, dramatic and with a welcome addition of a commentator and a shift in soundtrack. It felt like I transitioned from a romantic comedy to a major moment in a movie like Top Gun. Likewise, there was no lack of passion in the voice acting during the intimate scenes, as I felt the anger or sorrow in their voices mid-conflict. Thus, the reader is rewarded with a just as passionately voiced resolution. However, like with any game there are flaws. While the character stories are in fact unique, the pattern all routes had were eerily similar: a brief moment of intimacy followed by two straight character developing lewd scenes, a conflict before the tournament, and a resolution right before a vital match. All of them culminate with a bonus post-credit scene that includes some heartwarming moments, followed by another lewd scene. It’s this that made clearing through second routes onward a bit unexciting as you knew what was coming. On top of that the lewd scenes, while an absolute joy to look at, painfully drag on. Each scene lasts around 10-15 minutes on Auto Mode, and rather than experiencing a love story, I felt I had stamina practice. Despite this, it was an absolute joy to read. Under One Wing is a journey through the skies like no other. Harmorise carefully crafted each and every detail of this game to create an overall outstanding experience, and with the help of Sol Press fans got to experience it just a bit quicker. The lack of a thought-provoking and memorable overall story keeps it from being one of the all-time greats. It’s still a very different story from the ones on the market right now, and one of the best releases early on this year. I clocked in at 28.4 hours mostly running the game on auto and reading all the routes. A worthwhile experience for your time and wallet.